Hand made Garden Railway Wooden Pallets O/G Scale. 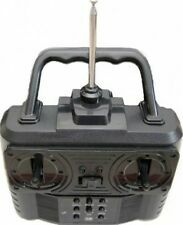 LGB - 10001 - G Gauge - 230volts. TOP categories. Sylvanian Familes. Tamiya RC Cars. Sylvanian Families. Plastic Model Kits. 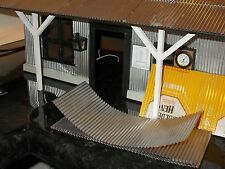 Model Corrugated Iron for 16mm, G scale, Garden Railway. 3mm corrugations. Sheets 100 X 170mm. (add a note if any other width is required) Made from cleaned and sterilised aluminium drink cans, so has printing on one side. Works well if stuck onto plywood or plasticard and looks very realistic. 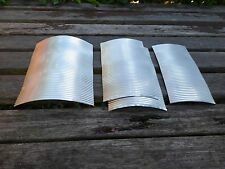 Model Corrugated Iron roofs, curved, for 16mm, G scale, Garden Railway. Wagon or Lineside Hut Roofing sheets. Suitable for G Scale or 16mm. Max length 172mm. Curve is about 4" radius, though this can be easily reduced by pressing on a flat surface. Just state required (around the curve) width when ordering. Cheddar Iver Ceramic Burner. Removed from a Cheddar Iver Locomotive. Could be of use for a vertical boiler (De Winton type) loco. Working order but does not include gas jet or gas jet holder. What you see is what you get. Accucraft Edrig Body - Live Steam, 16mm, SM32, Garden Railway. Continuing on with my workshop clear out, I have Accucraft EDRIG body. NOTE: there is a hole in the lefthand-side weatherboard. Sold as seen - please study photographs and/or message me for further information. UK postage only. TOP categories. Sylvanian Familes. Tamiya RC Cars. Sylvanian Families. Plastic Model Kits. LGB Bent Rail Old-Timer Track Buffer - G Gauge 10320. This is a used item that has been part of an outdorr working layout so naturally weathered . tracks are clean and looks great. These neat looking benches are easy to assemble and include laser cut parts that are a tight fit and include pegs in the bench footer locking bar. The seats stands at:- 50mm high at the back. 26mm at the seat. 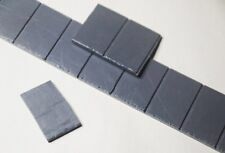 LGB Curved Siding Track Set G Gauge never used . Condition is New. Part of a lot of this train system which was purchased by my late uncle for my two boys which has never been used. Collection only. Will post if buyer pays cost. Perfect for display model dioramas, models etc and great for outdoor garden railways. 150mm x 2750mm. Plaster Bandage. Plaster impregnated bandage and in the main is used for making masks, moulds and forming contours. Terra Forma. Isle of Man, Channel Islands, Scilly Isles ( £11.00 per parcel ). Battery & Jump leads. 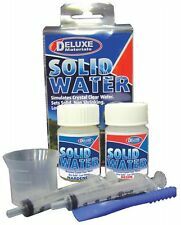 Perfect for display model dioramas, models etc and great for outdoor garden railways. Set Includes Fire extinguisher. Item is unpainted when sent out. Depth 85mm, Width110mm, Height 75mm. G LGB 1:24 25 Scale Ford F1 F-1 Pickup Ute Van 1948 Diecast Very Detailed Model. 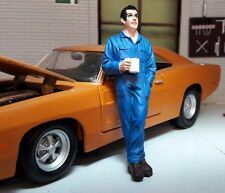 Beautifully Detailed Diecast Model with opening doors to reveal interior & drop down tailgate. Trophy on stand. Set of seven mirrors. Small 'don't touch' sign. Perfect for display model dioramas, models etc and great for outdoor garden railways. Quality printed on durable Vinyl by BECC products. Oxyacetylene bottles and torch. Perfect for display models diorama, models etc and great for outdoor garden railways. Battery & Jump Leads. 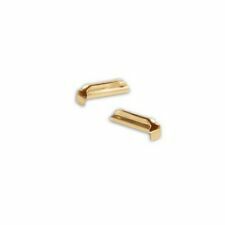 Lost wax brass casting 78-047 brake lever set. Suitable for 7/8ths scale. Limited quantities available. This house is designed to go in between 2 complete terraced single house kits from kippo models range of buildings. It is made from high temp polyurethane resin filled with aluminium. The kit consists of a front and rear brick wall, 2 internal trussed support walls that have square holes cut in- see the second and third picture in gallery, roof, chimney pots, chimney stack, individual windows doors and upper window sashes. Item is unpainted when sent out. Width 50mm, Depth 42mm, Height 42mm. Perfect for display model dioramas, models etc and great for outdoor garden railways. Other tools are available. A wiring diagram is supplied. Shuttle Service for LGB/G Scale or smaller gauge. Tool Cabinet with top tool box (one drawer opens in each). 2x Black wing protectors. Other tools and decals, buildings & notices etc available. Perfect for display model dioramas, models etc and great for outdoor garden railways. G LGB 1:24 Scale Modern Garage Building Fire Instruction Warning Notices Signs for models and Dioramas. Perfect for displaying models and waterproof for great outdoor garden railways. Citroen H Type Van Welly G LGB 1:24 Scale Diecast Very Detailed Model 24019. Perfect display model and tough enough for great outdoor garden railways. 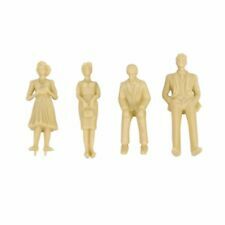 G LGB 1:24 Scale Model Diorama Accessories Set. 2x Fold up camp chairs. Gas bottle. Cool Box & Flask. 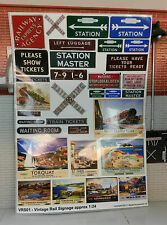 Sign with variety of decals. Perfect for display model dioramas, models etc and great for outdoor garden railways. High quality crisp printing on top quality, self adhesive Matte finish paper and precut, these are quite fade resistant but not waterproof. Simply 7/8ths Photo-etched detail parts. Nickel Silver sandbox detail as supplied with Simply 7/8ths body kits. Parts easily fold up and bend with half etched relief. Model paper Brick Tile Internal sheets. 1 x White/gold circles wallpaper. G gauge paper 1/24 scale for buildings. 7 sheets of paper, 5 designs in total. 5 sheets are 76cm x 56cm. 2 sheets are 38cm x 56cm. Perfect for displaying models and waterproof for great outdoor garden railways. WELSH SLATE ROOF TILES. Very easy to snap into individual slates, glue on top of each other to give a very accurate impression of a slate roof. THESE ARE NOT JUST BITS OF FLAT BORING PLASTIC, EACH TILE HAS DETAIL, GIVING MORE REALISM FOR THE MODELLER LOOKING FOR THAT LITTLE EXTRA. Tyre Balancing Machine & leak test water tank. Compressor, hose & tools. 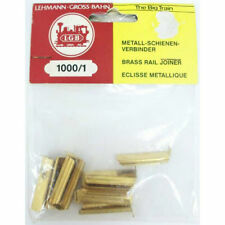 Perfect for display model dioramas, models etc and great for outdoor garden railways. Set Includes. Top and Bottom DIA 22mm, Height 38mm. Made from plastic containing actual wood fibre.